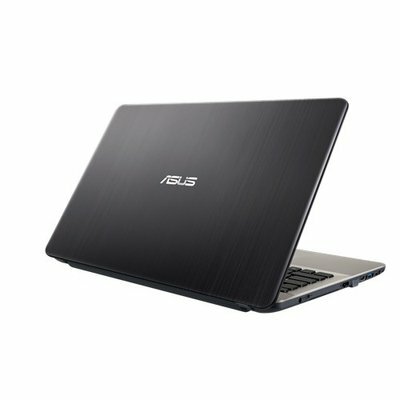 ASUS VivoBook X Series laptops are designed to give you a truly immersive multimedia experience. Powered by a 6th-generation Intel® Core™ processor, gaming-grade NVIDIA® GeForce® graphics, and exclusive SonicMaster audio incorporating ICEpower® technology, VivoBook X Series gives you outstanding audiovisuals ever experienced on a laptop. ASUS X Series laptops are designed to give you an immersive multimedia experience. ASUS-exclusive technologies like SonicMaster audio, incorporating ICEpower® technology, ASUS Splendid, and ASUS Tru2Life Video makes your movies and music come alive. 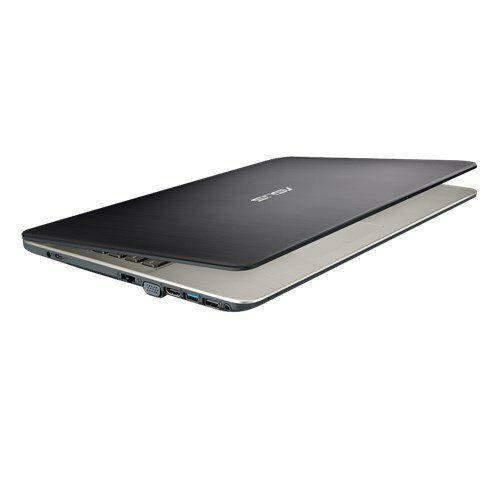 ASUS SonicMaster audio, incorporating ICEpower® technology, gives ASUS X Series laptops crystal-clear sound delivery. X Series laptops feature a 3W speakers with a 24cc sound chamber, and a special transmission line design to provide rich, deep bass and distinct vocals. On top of that, they're fine-tuned to give you clearer dialog and true-to-life surround sound. Charging port is loose, awaiting feedback from Loot. Why is this still advertised yet it is not available? Comes pre-installed with a fair amount of bloatware (games and other random apps, but these can easily be uninstalled) and Windows 10 does a massive update on first start up so check your internet settings if you are on a capped data plan (change to "metered connection" to avoid the update from downloading automatically) - more to do with the software than the machine but handy to know. Screen is not ideal for outside use due to a fair amount of glare. The 4GB memory is double what other machines in this price range offer and the ability to upgrade this to 8GB, if required, is a plus. There is no indicator to show when CAPS lock / scroll-lock / etc are engaged which can be mildly annoying if you accidentally hit these keys. 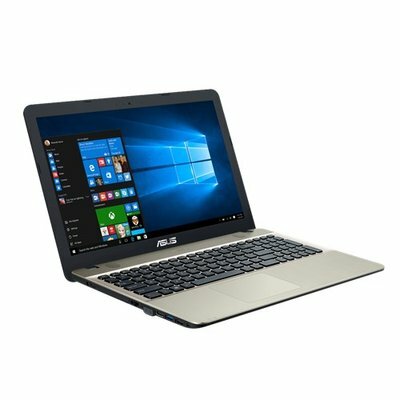 Overall, if you're looking for a decent ENTRY LEVEL laptop, you'd be hard-pressed to find the same spec at this price. As long as you're not expecting miracles, it's a solid choice for the price (R3,799 as at 31 Aug 2018). Within 5 weeks of geting this laptop it started crushing,showing me the blue screen.i only use this laptop for school work.i have the latest bit defender antivirus installed so i know its not a virus.for the past 3 weeks it just restarts on its own to bios menu.i click save and exit and it reboots to bios again without pressing anything,i have to click save and exit multiple tines before it boots windows.i wanted to complain to loot but you know how these things go,they will probably blame me instead of the manufacture.so i just learnt to live with mulfunctions. Die aankoop van hierdie rekenaar was een van my beter besluite sover. Eerstens was die diens uitstekend, ek het my bestelling geplaas Saterdag middag, Dinsdag is die rekenaar afgelewer! Die rekenaar is perfek vir my behoeftes, lyk netjies en duursaam en vinnig genoeg. Ek is n pensioenaris en gebruik die rekenaar vir my persoonlike boeke, musiek, en kerk musiek vir gebruik in eredienste. Die sleutelbord het vir my in die begin n bietjie " plasties" gevoel, maar werk 100% en dit is dus net persoonlike smaak. Ek vind dit lastig dat Microsoft programme nie vooraf ge-installeer is en deel van die pakket is nie. Ek was nie so op hoogte van nuwe tendense nie en moes toe met n skok agterkom dat die Microsoft pakket van Word, Exel en Powerpoint n hengse bedrag per maand gaan wees, tensy jy n ouer weergawe(2016) aanskaf ,wat nog steeds n plaas se prys is vir n pensioenaris! In geheel gesien is ek in my noppies met die rekenaar en sal hom beslis aanbeveel. Great service and special deal from Loot. Good looking entry level laptop - the speakers are surprisingly good. Tiny flaw is that there isn't an indicator for the caps lock key to know whether it's on or off. Otherwise very pleased with the purchase. Would recommend this product.